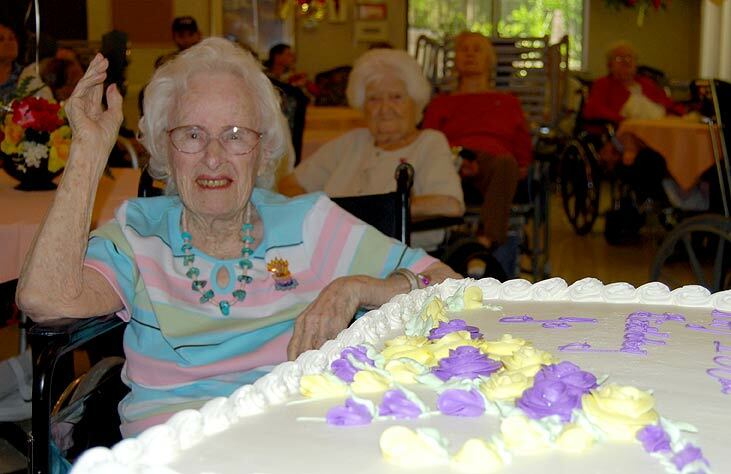 Josephine Elizabeth Auten was born on April 11, 1908 in Akron, Ohio and died on September 8, 2011 in Tampa, Florida. She lived to be 103 years old. She attended Akron University. She worked as a secretary. 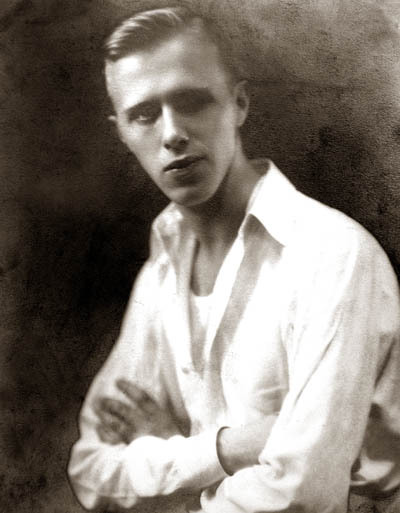 2nd marriage on (11/7/1981) to Lloyd A. Davison (12/31/1893 - 5/31/1986). 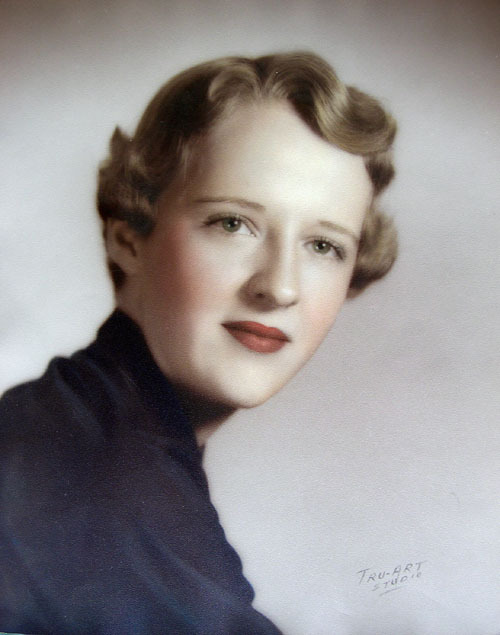 DAVISON, Josephine (Jo) Auten Windows, 103, died peacefully on September 8, 2011, at West Bay Nursing and Rehabilitation Center, with her daughter, Nancy Shoaps and her husband Paul at her bedside. 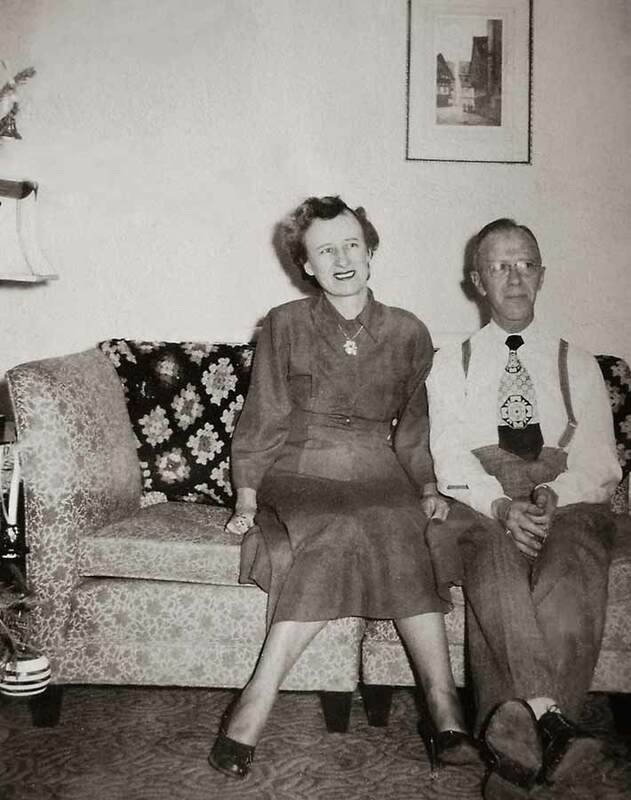 Jo was preceded in death by her husband, F. Earl Windows, husband, Lloyd Davison, and daughter, Marjorie Evans. She is survived by her daughter, Nancy Shoaps (Paul); 7 grandchildren; 14 great grandchildren; and two great-great grandchildren. 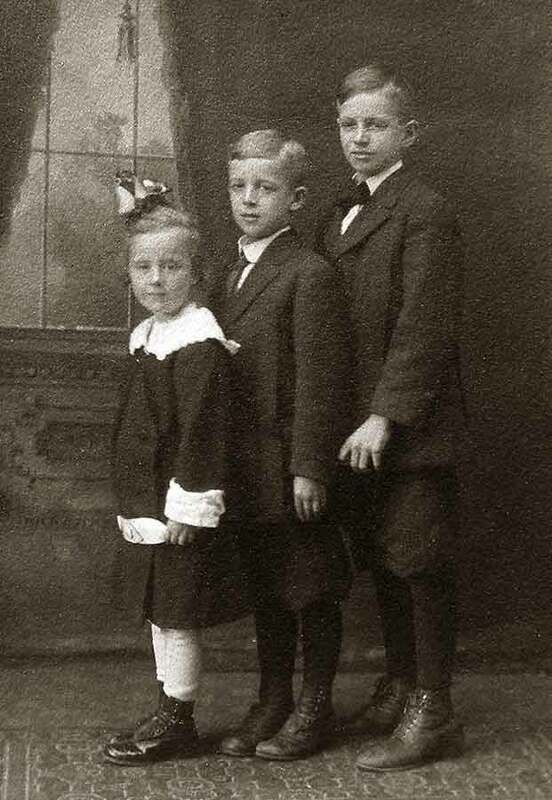 Jo was born in Akron, Ohio on April 11, 1908, the youngest of three children of George W. and Kate Auten. She grew up in West Akron, graduated from West High School and attended the University of Akron.For most of her adult life, she worked as a legal secretary for her father. 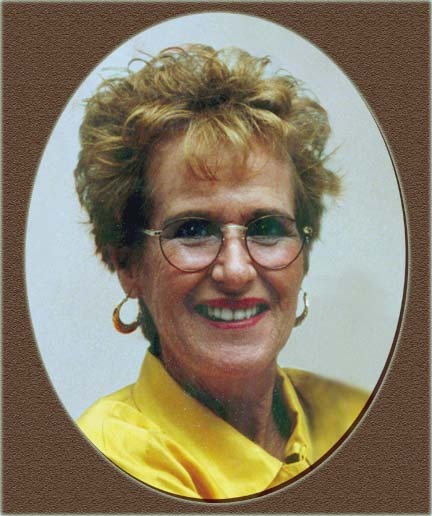 Jo was an excellent pianist and bridge player, loved dancing in all forms, sang in the church choir, and was an avid bird watcher. Her children and grandchildren were influenced by her example to pursue many of the same interests. 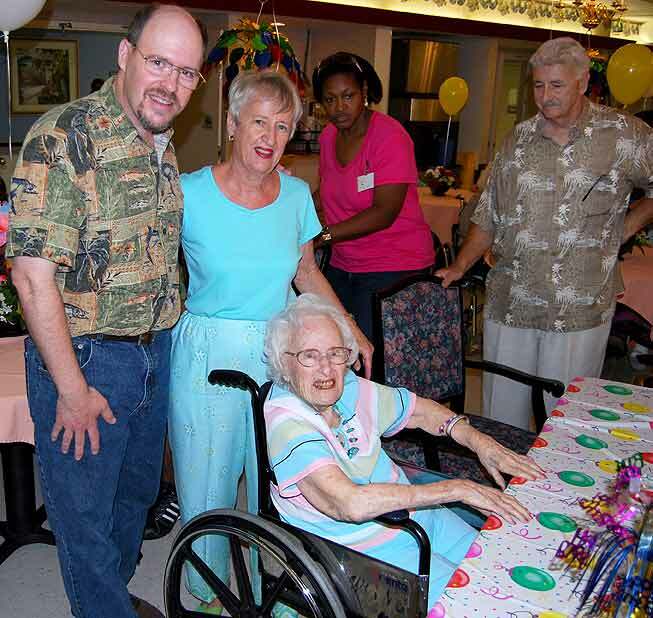 Her enthusiasm was contagious even in the last days of her life at the nursing home where she was known as the "energizer bunny", often bursting into song as she navigated the halls in her wheelchair. Words are insufficient to describe what a loving, giving, supportive mother she was. Her encouragement and support were constant. Her interest in her daughters and grandchildren was unwavering, but her caring did not stop at family�she was also passionate about church and community. 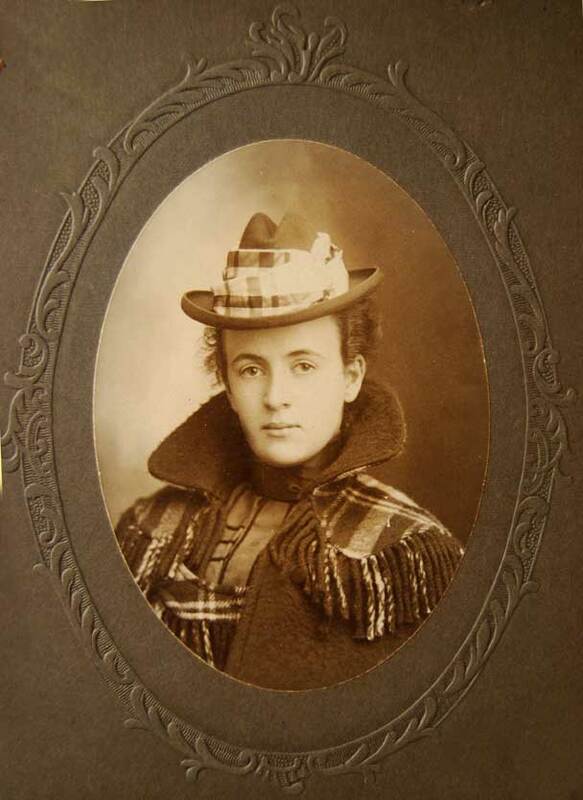 As a member of West Congregational Church in Akron, she became involved in migrant worker issues and an agency that served homeless alcoholics. 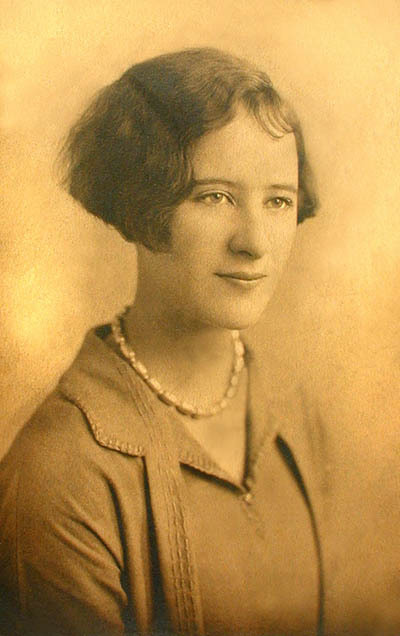 In addition, she taught Sunday school and was president of the Women's Fellowship. She was active in the PTA, League of Women Voters and the Child Conservation Corps. Her life of giving and service stand as an example for those of us fortunate enough to have had her as a mother and grandmother. Our gratitude and thanks to the devoted and loving staff at West Bay who were Jo's "family" for the past seven years. Also thanks to the Suncoast Hospice RN Joe Leurck and volunteers who lovingly supported Jo and her family through her last days. Memorial services will be held at a later date with burial in Rose Hill Cemetery, Akron, Ohio. 96 2004 March 2, 2004 - Mars rover MER-B (Opportunity) confirms to NASA that the area of their landing was once covered in water. 102 2010 CERN scientist trap anti-matter for the first time. 93 2001 April 8, 2001 - Tiger Woods becomes the first golfer to hold all four major golf titles simulteneously by winning the Master's tournament in Augusta, Georgia. This followed a remarkable run in 2000 when Woods claimed victory at the final three majors of that season; the U.S. Open, the British Open, and the PGA Championship. 93 2001 NEWS HEADLINES: September 11 -- (9 11) -- The World Trade Towers are hit by terrorist flying commercial planes full of passengers. 94 2002 February 8, 2002 - Amid tight security due to terrorism concerns, the Winter Olympic Games are opened by President George W. Bush in Salt Lake City, Utah. They would continue without major incident until the closing ceremony on February 24. 95 2003 December 13, 2003 - Saddam Hussein, former leader of Iraq, is captured in a small bunker in Tikrit by the U.S. 4th Infantry Division. General fear of terrorism begins to subside. 95 2003 April 9, 2003 - The U.S. coalition siezes control of Baghdad in the Iraq conflict. 95 2003 February 1, 2003 - A tragedy at NASA occurs when the Space Shuttle Columbia explodes upon reentry over Texas. All seven astronauts inside are killed. 96 2004 February 3, 2004 - The Central Intelligence Agency admits that the imminent threat from weapons of mass destruction (which justified the war on Iraq) was not present before the 2003 Iraq war began. 97 2005 July 26, 2005 - In the first Space Shuttle flight since the tragedy of 2003, Discovery goes into orbit on a mission that returns to earth safely on August 9. 97 2005 United States labor is squeezed by global forces and the United States economy continues to decline. 103 2011 March 15, 2011 - Largest recorded earthquake hits Japan and everyone watches the horrifying scenes as survivors post videos taken with their cell phones on YouTube. 96 2004 November 2, 2004 - President George W. Bush wins reelection over Democratic Senator John Kerry from Massachusetts. He wins 50.7% of the popular vote and 286 votes in the Electoral College. 96 2004 National Museum of the American Indian is established in Washington DC. 96 2004 National Museum of the American Indian is established on the mall in Washington DC. 98 2006 December 1, 2006 - United States manufacturing capacity and esteem wanes, signalled by the sale of the last shares of his General Motors stock by U.S. billionaire Kirk Kerkorian. 100 2008 October 3, 2008 - The United States Congress passes legislation, signed by President Bush, for a $700 billion bailout, the Emergency Economic Stabilization Act, giving the Treasury Department authority to assist distressed Wall Street and banking businesses of the United States due to the housing, banking, and subprime mortgage crises caused by excessive greed and speculation among Wall Street firms. This economic distress, coupled with oil prices above $140 per barrel during the summer, deepened the world economic crises that had been brewing all year. The bailout was supported by current President George W. Bush and both presidential candidates, Barack Obama and John McCain. 100 2008 A major financial crisis and recession begins in earnest. 101 2009 Health care reforms initiated by the new US President, Obama, gives birth to the 'Tea Party' movement. 101 2009 October 31, 2009 - The economic recession continues to deepen as jobless claims climb above 10.0%, reaching 10.2% with October's monthly figures. This occurs despite efforts by the Obama administration to ramp up massive government spending pushed by the $780 billion economic stimulus package passed earlier in the year. 93 2001 September 11, 2001 - 911 - Islamic fundamentalist terrorists hijack four U.S. airliners and crash them into the Pentagon and the World Trade Center in New York City. The attack of two planes levels the World Trade Center and the crash of one plane inflicts serious damage to the Pentagon in Arlington, Virginia, causing nearly 3,000 deaths. The fourth plane is heroically crashed by passengers into a Shanksville, Pennsylvania cornfield when they learn of the plot, preventing destruction of another structure in Washington, D.C., supposed to be the White House or the Capitol building. The plot is attributed to the Al-Qaeda organization led by Osama Bin Laden. 93 2001 September 18, 2001 - Anthrax attacks by mail from Princeton, New Jersey against news and government targets begin. Federal officials announce the first case on October 4. World wide concern about terrorism continues to escalate. 93 2001 October 7, 2001 - In response to the tragedy of September 11, the United States military, with participation from its ally the United Kingdom, commence the first attack in the War on Terrorism on the Taliban and Al-Qaeda in Afghanistan. By November 12, the Taliban government leaves the capital, Kabul. 94 2002 November 8, 2002 - The United Nations passes Resolution 1441 in a unanimous Security Council vote. It forces Saddam Hussein and Iraq to disarm or face serious consequences. 94 2002 November 21, 2002 - NATO invites additional members of the former Soviet bloc to join its membership. Seven nations are included in the invitation; Bulgaria, Estonia, Latvia, Lithuania, Romania, Slovakia, and Slovenia. 94 2002 May 21, 2002 - The United States State Department issues its report in the War on Terror. It states that there are seven nations that a State-Sponsors: Iran, Iraq, Cuba, Libya, North Korea, Sudan, and Syria. 95 2003 March 19, 2003 - The War in Iraq begins with the bombing of Baghdad after additional measures and mandates from the United Nations and the United States coalition fail to gain concessions or the removal of Saddam Hussein from power. The U.S. coalition, upon failure to extract authority from the U.N. for action due to the veto power of France, begin land operations one day later with participation from U.S., British, Australian, and Polish troops. 98 2006 February 22, 2006 - In a continuing shift of the retail industry to new platforms, the one billionth song is downloaded from the internet music store, Apple iTunes. This shift comes at the expense of many brick and mortar chains, including Tower Records. The trend of purchasing items via the internet, instead of local stores, continues to grow. 99 2007 The world climate and ocean temperatures continue to rise. Both polar caps are shrinking at a record breaking rate. 99 2007 January 10, 2007 - President George W. Bush announces a troop surge of 21,500 for the war in Iraq to stem the violence at the request of new commander General Petreus. This controversial policy begins to show positive signs once fully implemented during the summer months, with a reduction in violent attacks against coalition forces and Iraqi civilians. Progress on the political front within the Iraqi national government, however, does not keep pace with positive developments on the military front. 100 2008 November 4, 2008 - Barack Obama, Democratic Senator from Illinois, the land of Abraham Lincoln, wins a landslide margin in the Electoral College, 365 to 173 in the election for the 44th President of the USA over John McCain, making him the first African-American president in the history of the United States of America. 102 2010 April 20, 2010 - A British Petroleum deep water oil rig explodes in the Gulf of Mexico, causing the largest oil spill in the history of the United States, killing eleven workers, and devastating the envirnoment. It also severely damaged the fishing and tourism industries of gulf states. 103 2011 March 15, 2011 - The largest recorded earthquake hits Japan followed by a huge tsunami. Three nucular power plants are danaged and remain in critical status for the next six weeks. Manufacturing plants in Japan can no longer produce and impacts the world economy. 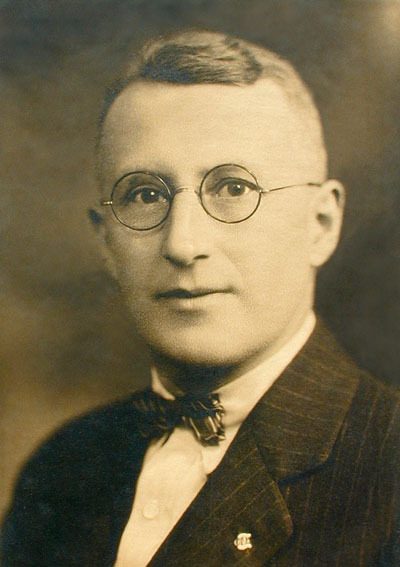 Born on November 3, 1904 and died on December 21, 1974. Born in Akron, Ohio on December 10, 1935 and died somewhere in Florida on February 14, 1997. She was 61 years old. Born in Akron, Ohio on November 30, 1937 and died in Tampa, Florida on May 12, 2012. She was 74 years old.